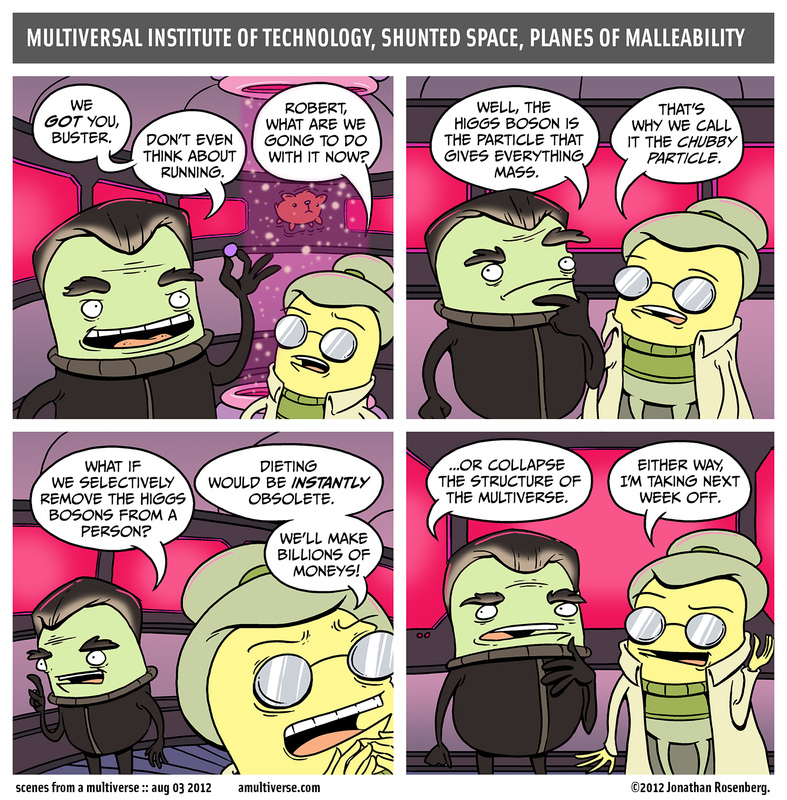 Today’s strip carries on from Boson Buddies, which is a thing I was not expecting. My perspective on repeat strips is almost always wrong, and I live in a state of constant surprise and fascination. I am tired. I go to sleep now. Kisses!